Look, I'm a little bit crazy: I live and breathe cars, I like to drive, and I like shiny things. I'm also a normal(ish) person with a normal house and a normal need to keep it clean. Normally. A while back, a thought dawned on me. Many household cleaners are just wax- or oil-based polishes, mixed in with some fake citrus or pine scent. So what if, instead, I used the car wax sitting out in my garage to clean various objects around the house? Who knows what kind of shiny potential it might unlock? I looked online, naturally, and found I'm not the only one with this crazy notion: even This Old House had some interesting ideas on the subject. So I put them to the test. I started with my kitchen counter, because I figured it would be easy. I pulled out my random orbital polisher and started working away just like I would with my car. I used a polishing compound first (if you're unfamiliar, think of it like very fine liquid sandpaper), and followed it up with the same wax I use on my car. I severely underestimated the time it would take. 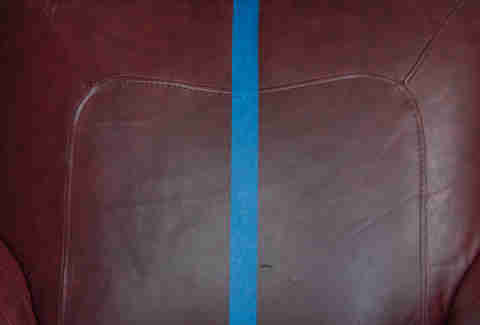 With a car's paint, you've got to be speedy or risk damaging the coat. 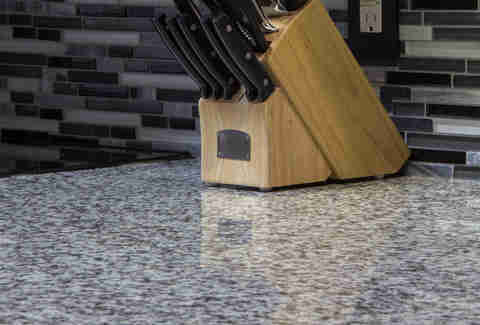 With granite it's virtually impossible to damage the stone, so the slower you go, the better the shine. Seriously emboldened by the countertop success, I pressed onward, and decided to do a leather chair next. Waxing leather is a little controversial. Some people argue that leather needs to breathe, and can dry and crack if you wax it. Others go the opposite direction, that most leather products are actually sealed before you buy them and waxing won't harm them. I used an old leather chair that's, frankly, seen better days, and grabbed some good old-fashioned carnauba wax for this one (easier to get off if something goes afoul). I'm glad I did that. The wax didn't perform poorly, but neither did it really wow me. Twenty minutes of work netted the same result as about 30 seconds with a store-bought leather wipe. Pass. Next up, all things stainless steel. As the theory goes, if you wax your kitchen appliances you'll have a long-lasting shine, and more importantly, fingerprint resistance. 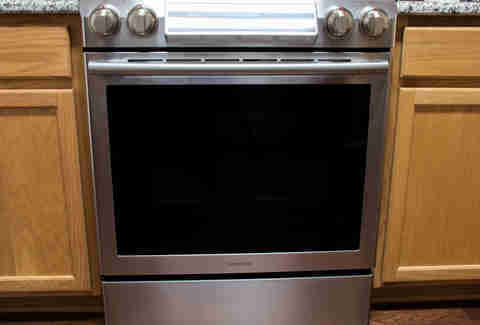 I cleaned the oven, microwave, dishwasher, and refrigerator thoroughly, and put a nice, gloss-a-riffic coat on them. As you can see, the result is beautiful. What you can't see in this photo is how fruitless the endeavor was. Either my hands are exceptionally prone to fingerprints (entirely possible!) or this did absolutely nothing by way of fingerprint prevention. I read in the aforementioned This Old House article that mirrors won't fog if you wax them. Let me set the record straight right now: that's completely and utterly false. Look at the photo above. The left side (horribly fogged) was waxed with the same carnauba I used on the chair. 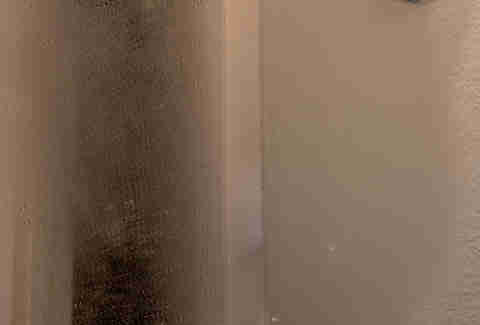 The right side (just as horribly fogged, but cleaner) features the sealant I used on the counter. That stripe in the middle with much, much less steam? That's the section I didn't touch. It wasn't a complete waste, though. While you don't want your bathtub or shower floor to be slick, wax actually has the opposite effect when wet. If you wax your bathtub, you'll have much more grip than before because the water really doesn't want to stick to the surface. I tested it in a spot and confirmed: much less slick! It was, however, slick when dry, which isn't great. For tubs, there's actually a special type of wax made for wood floors that has -- stipulated by law -- friction modifiers so you don't slip and kill yourself. I'd recommend picking some up. 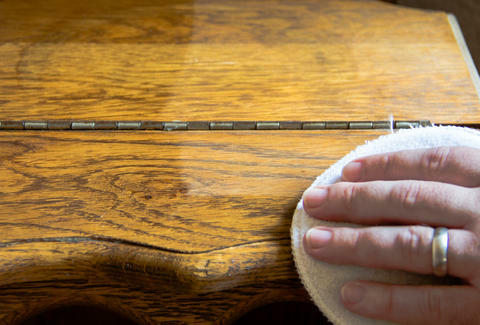 I readily admit the juvenile side of me kept laughing at the thought that I was polishing my wood. All that's what she said jokes aside, seriously, carnauba wax on wood is a brilliant combination. 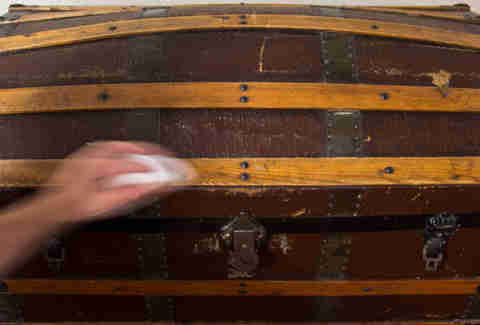 It's pretty old-school -- chances are your great-grandparents did it too -- but as you can see on this old trunk, it works. I also used it on my desk, bed set, and literally every piece of real wood I could find except the floor, which (like your bathtub) needs a specially formulated wax so you don't slip and die. Final word: You've gotta try this. I have significantly upped my granite game. Next time I'll try waxing my exterior windows to help keep them clean and protected against the elements, and will definitely listen to that R.E.M. song "Shiny Happy People" in the process. Did I mention how good my granite looks? Aaron Miller is the Cars editor for Thrillist, and he really used car-care products all over his house. Follow him like a moth to a bright and shiny existence at Twitter and Facebook.